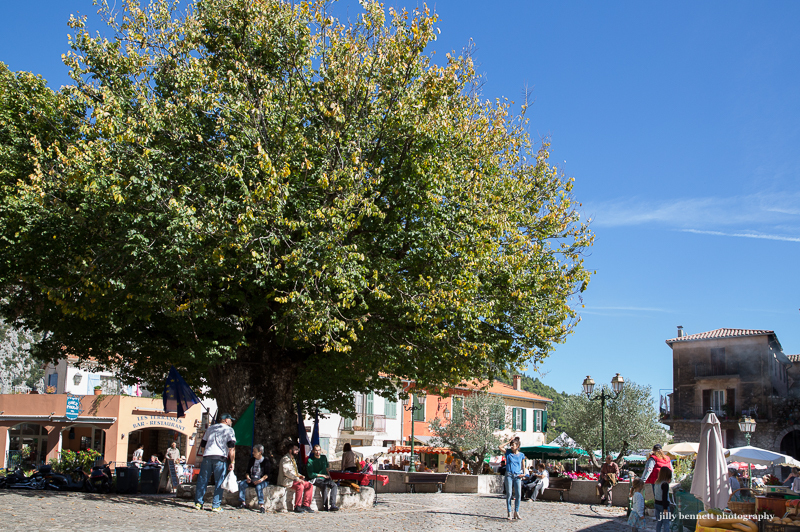 Despite the terrible rains and flooding of the night before, yesterday was a glorious day in Gorbio village for the annual Fete de la Branda. More tomorrow, including the visit by our friends from Dolceacqua, with whom Gorbio is twinned. Malgré les terribles pluies et les inondations de la veille, c'était hier un jour magnifique au village de Gorbio avec l'annuelle Fête de la Branda. La suite demain, y compris la visite de nos amis de Dolceacqua, avec qui Gorbio est jumelée. The floods in your area looked very scary on televison. From the pictures I've seen, very rough conditions in your part of the world. French regional news doesn't often reach here. I haven't heard what happened, although I know the Menton road goes out on a whim. I'll look it up. I'm so glad you took us to Dolceaqua. It's a perfect town to have for a twin or, as we call it here, sister city. STL is twinned with Lyon, which we have never visited, and Galway, where I can say I know my way around. thanks you your site, i visited gorbio and beausejour a few weeks ago for lunch...such a pleasant place to spend an afternoon. and the drive to ste agnes was just crazy!